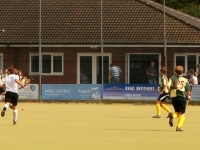 We have a huge presence in the hockey and sporting community through the number of teams we field every Saturday and the hundreds of children attending our youth setup on Sunday mornings and Thursday evenings, so the coverage we have throughout the East of England is there to be exploited for advertising and promotion. We also have many non player members and circulate newsletters and information to approximately 600+ members and ex-members on a regular basis. 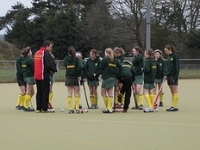 We have 16 adult teams (200+ players) representing the club each weekend, playing throughout the South East of England, plus 2 development teams (200+ minis and juniors) to promote the growth junior hockey throughout our region, plus a veterans and mixed team who play in the National hockey competitions which can see them play anywhere across the country. Our mini section features hundreds of children across all age groups, many of whom turning up on a Sunday Morning, together with specific sessions being run on Tuesday and Friday evenings to cater for the demand of children to fit on a single pitch. Our children play in all regional tournaments, with some representing the County and East within their respective age groups. So, whether you want to use the club for advertising opportunities, get exposure for your business in supporting the club and those within it, or just help the club through fundraising by purchasing advertising services then contact us for more detailed information. We have room for advertising boards around our astro-turf pitch at Taverham, a facility also used by Taverham High School, Broadland Hockey Club and the Extreme Soccer league, which sees the pitch full almost 7 days a week, 5 evenings and all day Saturday and through Sunday mornings. Each pitchside hoarding can be singlesided or doublesided depending upon location and costs £175/£250 for the first year (includes the production and installation of the board itself) and £50-£100 for subsequent years. The board is an aluminium honeycomb construction, approx 75cm high x 3m wide (2900mm x 720mm) and is installed in a vacant gap of your choosing (spaces are allocated on a first come first serve basis). We have the kind voluntary services of Empresa Limited who will help with the production of board and the design and artwork itself (unless you have it already in hand), so if you can provide at least hi-resolution logos, images and photos, and an idea of layout and wording required and we will be only too pleased to prepare everything for you. Boards for your own artwork production is to be designed to fit 2900mm x 720mm. If you wish to provide us with your imagery and brand material then high resolution files are required in order to scale them to fit the large printing on the board. All of the artwork we use on the advertising boards we also add to our website footer sponsorship area, which you can see by scrolling to the bottom of this screen, or you can click here. 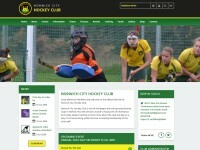 Our website is one of the most sophisticated websites for any sports club, providing a point of reference for all of our current and historic members, and a great source of information people looking to find a local club in the Norfolk area, not to mention the back office administration that runs the entire club online. We have 200+ visitors per day coming to our website and these range from people of all ages and backgrounds, so the exposure we have is very powerful and varied. We provide rolling advertising space at the footer of all of our pages and those involved in any of our advertising services also get exposure via our website. So, if you have an advertising board on the side of our pitch then we also include that same artwork on our website, with a link through to your website on it. 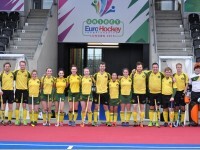 If you would like to know more about advertising on our website then please get in touch via email to advertising@norwichcityhc.co.uk and we'll be only too pleased to discuss what we can do for you. All our members wear standard club clothing, which varies from their player shirt, their shorts or skorts, socks, hoodies, raincoats and tracksuits. We use a number of suppliers to create our clothing and all of it we provide with embroidered logo branding and either embroided or printed elements on the back. We do have opportunities for sponsorship of our clothing for those who might be interested, especially when we have regional and national events where a team is presented such as recently our U16 girls made it through to the last 16 of the national cup and to celebrate their achievement they wore new hoodies as sponsored by Empresa Limited (Brine Family), Play Barn (Kidner Family) and The Finance Shop (Garwood Family). If you want to know more about clothing sponsorship opportunities then please get in touch. We are also happy to discuss advertising opportunities in terms of sponsoring matches or even teams. We are a very strong club and have teams in a wide range of leagues and at various standards, so we achieve weekly exposure in the local press for our results and hockey activities. Our teams play in many different tournaments and competitions and as such are happy to help promote these events through sponsorship of match day programmes or inclusion in our match reports which we submit for the local press.